Marxist-Humanist Initiative sponsored four events at Left Forum this year. The annual conference, the largest American conference of left academics and activists, was held June 7-9 in New York City. Below are videos of two MHI-sponsored panel discussions and the audio recording of a third one. We also present written versions of four of the talks [added July 31, 2013]. The speakers are in this order: Chair: Andrew Kliman; Presenters: Ishay Landa, Open University of Israel; Anne Jaclard, Marxist-Humanist Initiative; Pam C. Nogales, Platypus Affiliated Society; Alex Steinberg, independent Marx scholar. This year’s Left Forum theme demanded that we first address the questions, “Who needs to be mobilized, and mobilized to do what?” The panel examined the fundamental question: are the masses of people “backward” and in need of having their “consciousness raised”? That traditional view implies that the left must teach people to want to transform the world, and take them along step by step. If, however, the impediment to mobilization is not workers’ supposedly low consciousness, but rather the left’s presuppositions and elitism, then the need is for the left to re-think and re-organize its theory and practice. Our panel had diverse views. One speaker challenged the prevalent leftist view of consumerism as simply a product of capitalism. One discussed how the left’s indifference to mass psychology has created an opening for the Right. Two suggested that the workers’ consciousness is in need of a left to “raise” it, while the other two said no, it is the left who needs to be transformed so it can build a different relationship to mass movements. The comments are in this order: Chair: Mike Dola; Andrew Kliman, Pace University; Brendan Cooney, kapitalism101.wordpress.com (via Skype); Alan Freeman, London Metropolitan University; Bryan Philip, independent scholar; Nick Potts, Southampton Solent University (his statement is read by Anne Jaclard). This roundtable discussed Andrew Kliman’s just-published article, which exposes multiple errors in Fred Magdoff and John Bellamy Foster’s “Class War and Labor’s Declining Share,” the cover-story article in the March 2013 issue of Monthly Review. Kliman’s article, which elaborates on the critique of Foster and Magdoff contained in his book, The Failure of Capitalist Production, argues that these errors fatally undermine the authors’ attempt to explain the underlying causes of the Great Recession. 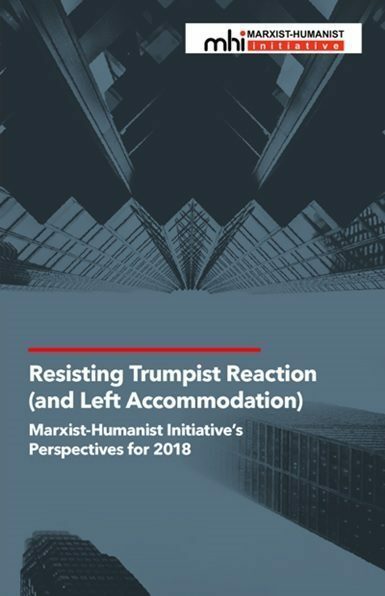 In keeping with the conference theme of mobilization, Marxist-Humanist Initiative sponsored this panel in an effort to help mobilize the left to rethink its presuppositions. The authors of the Monthly Review article and possible other representatives of their position declined repeated invitations to participate as panelists. Marx’s Humanism: Folly, Peripheral, or Integral to his Philosophy? CLICK BELOW FOR THE AUDIO RECORDING. 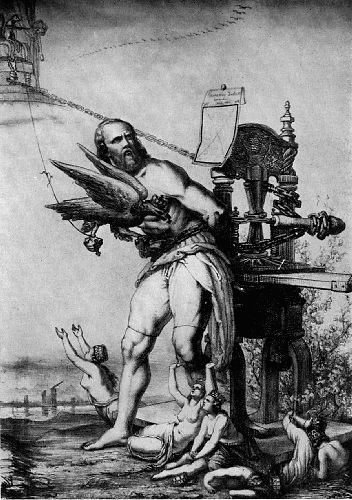 The speakers are in this order: Chair: Andrew Kliman; Presenters: Ishay Landa, Open University of Israel; Aaron Jaffe, PhD candidate, The New School; joint paper by Anne Jaclard, Marxist-Humanist Initiative and Andrew Kliman, Pace University (delivered by Anne Jaclard). The debates that raged throughout the twentieth century over Marx’s humanism have not ended. Some prominent writers still claim that humanism was just a stage that Marx grew out of when he became “fully Marxist,” or at best was a subset of his economic work. The continuing popularity of Louis Althusser and other anti-humanist philosophers in fact serves to discourage study of Marx’s philosophy as a totality. Other Marx interpreters, such as Herbert Marcuse and Raya Dunayevskaya, emphasized Marx’s humanism. We discussed whether humanism is predominant not only in his works denominated as such, but throughout his writings, from the earliest to the last. Our panel looked at recent critical Marx scholarship to see what is new and what is not in this debate, as well as discussing recent positive attention to Marx’s vision engendered by the economic crisis. One presenter investigated how Marx’s early humanist writings relate to contemporary “green” discourse and the anti-humanist stance which it sometimes adopts. The ‘Left forum’ by Marxist-Humanist Initiative has indeed captured some of the most pertinent Marxist paradoxes of our times.Starting from Marxism as an idea, to a movement, to an ideology and to a idea that is perennially challenged by the current trends of the bourgeoisie(such as consumerism). As a film maker I am also thrilled to see a film screening followed by a discussion. However, the Indian Marxist experience is missing from the meet.I do not bring it merely because of who i am but because of certain historic necessity. The Indian Marxist experience has a lot to contribute to any such process, simply because of the challenges faced by the Indian Marxist, which has a lot to share in terms of it’s experience in the topics that you have taken up!